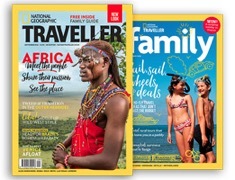 I’m an award-winning travel writer, editor and photographer, specialising in Africa. I also cover responsible and ethical tourism in the UK, the Americas, Australia and elsewhere. I write for The Independent, The Guardian, Rough Guides, National Geographic Traveller, Travel Africa magazine and numerous other publications in the UK and worldwide, in print and online. Much of my published work is illustrated with my own photography, shot on location. As an editor, I handle commissioning, picture editing and project management for books, magazines, websites, e-books and apps. I have a particular interest in projects relating to eco-friendly independent travel, including wildlife-watching, cultural tourism and community tourism. Many, many things draw me to Africa: the diverse cultures and rich ecology, of course, but also the fact that it’s an ancient continent poised on the brink of change. African lifestyles have already altered a great deal in the twenty or so years I’ve been visiting. From my base in the UK, I fly south on a regular basis, and have so far visited over 30 countries in North, West, East and southern Africa, sampling everything from obscure music festivals to high-end conservation safaris. I have also covered many of the islands around Africa, including the Canary Islands, Madeira, Cape Verde, São Tomé & Príncipe, Zanzibar, Madagascar and Mauritius. My work as lead author of the Rough Guide to East Coast Australia and co-author of the Rough Guide to Australia has taken me on epic overland journeys through some of Australia’s most stunning locations. I have explored Australia’s beautiful East Coast in depth, from the lush tropical rainforest and coral cays of Far North Queensland, to the cosmopolitan cities of Brisbane, Sydney and Melbourne - making plenty of side-trips to dive the Great Barrier Reef along the way.